Best Pizza in Wisconsin: Our 10 Favorites! There are pizza joints around every corner these days, but finding the very best is the ultimate goal. Discover why Wisconsin’s pizza, using local cheese, creates some of the best pie you’ll ever try! Some come from secret recipes, while others are drawn to the gluten-free crowd. Either way, you’ll enjoy each and every one of these 10 excellent pizza restaurants in Wisconsin! Pizza Brutta adds fresh Wisconsin mozzarella cheese to their great crust and sauce. You can visit Pizza Brutta at two area locations one in Madison and the other in Middleton. 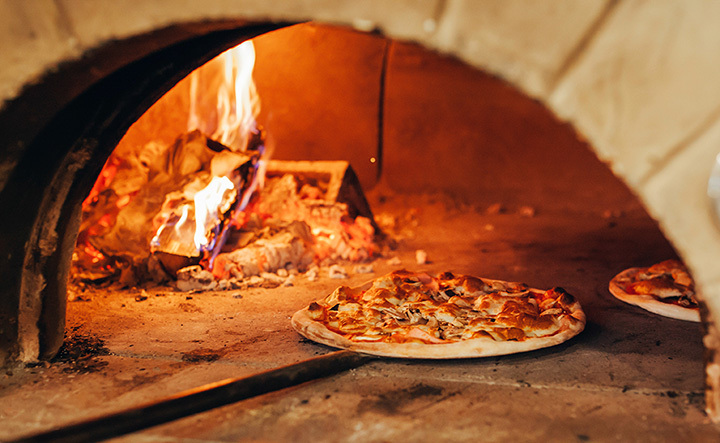 Check out their woodfire pizza that doesn’t take short cuts in both ingredients and taste. Ian’s Pizza is a famous chain located in both Madison and Milwaukee. They have quirky signature pizzas that are just different enough to keep you interested in the taste. Try chipotle sweet potato, penne alfredo, mac and cheese pizza, smoked brisket and tots, and buffalo chicken! Tons of great menu options on three different sizes. You’re going to love the atmosphere at Fixture Pizza Pub. The walls are coated with old school photos mixed with a modern brick and rustic vibe. The interior isn’t the only thing to love about Fixtures Pizza Pub—they offer thin crust or deep dish customizable pizzas. Add what you want, and leave out what you don’t. The possibilities are endless. Zaffiro’s has been serving up the Milwaukee area since 1954. In more recent news, Zaffiro’s earned Top Choice Award in the greater Milwaukee area. Their traditional Italian taste allows them to keep their tradition alive. Try something basic or go out on a limb with something a little more complex. Monical’s Pizza offers the perfect casual dining experience in the north woods area with the only Wisconsin location. Choose from deep dish to thin crust pizza options. Hawaiian, veggie, Italian, and more! Monical’s low prices and quality ingredients keep visitors coming back time and time again. Find Geno’s Chicago Style Pizza located in downtown Eau Claire. Fresh ingredients like Wisconsin cheese, savory spices, and quality meats make up Eau Claire’s favorite pizza parlor. Geno’s attracts locals and tourists alike, find out why Geno’s ingredients make all the difference. Nothing but good pizza here. Dine in or take out your favorite pizza. Choose from a wide variety of specialty pizza choices from vegetarian, meat lovers, chicken fajita, barbeque chicken, and BLT—or fall back on a classic pepperoni and cheese pizza. Grab a beer and couple of starters to make it a fancy three course meal! Papa Jimmy’s Pizzeria located in downtown Cottage Grove is a one stop shop for an awesome pizza date night. Grab a beer, pick out a pizza, then finish with some tasty ice cream. They have a conveniently little patio so you can enjoy the great outdoors of Wisconsin while chowing down. They have tons of specialty pizzas where you can mix and match your favorite ingredients to make the perfect pizza. Kate’s Pizza Amore offers the classic Italian pizza taste right in La Crosse, Wisconsin. With tons of pizza options and gluten free pizza crusts—there is sure to be something for everyone in the family. Dine in at their cute restaurant to liven up your pizza night. While Crank Pat’s is known for a lot of things like cranky sticks and their poor boy sandwich, they are home to a selection of world famous pizzas. The Fox Valley has three separate Crank Pat’s locations: Oshkosh, Neenah, and Green Bay. With over 15 specialty pizzas and a build your own option the possibilities are endless.